Amongst all the thrilling entertaining and inspiring events that took place during the recent Feile na Bealtaine in Corca Dhuibhne, one vision has registered in my mind. As the fife and drum band were passing over Strand Street there was a woman standing on the side of the street with an Ipad in her hands. This Ipad had a brown leather cover and she was holding it up in front of her face. She was so effectively disguised that all that was visible was a woman’s body with a leather rectangle in place of her head. It was one of those moments. The phenomenon of capturing events with personal devices such as phones, cameras and video cameras has been around for quite some time now, but recently it has reached a crescendo. The pleasure of attending a concert can interrupted and almost eclipsed by the hundreds of phones and cameras which are used to capture the live event. As considerate as this may be, in that these videos are shared with friends and others, it can be disconcerting to say the least for those who just went to the concert to see the performer. This may all become a thing of the past like brick sized mobile phones hair perms, flared jeans and side burns. A technology announced by Google in 2012, due to be available to buy in early 2014, is set to render hand held cameras unnecessary. You may have or will shortly recognise the few Google glass wearers on some streets. Google Glass is the first of its kind, a HUD, or Heads Up Display device produced for the commercial market. These devices have the potential to revolutionise the way people interact with the Internet. Smart phones provided access to the Internet on the go, this takes it one step further. Google Glass is a small camera and projector and other processing equipment. It operates without a traditional screen, by projecting onto a prism which then reproduces it in the field of vision, so the information projected appears to be suspended in front of the eyes. 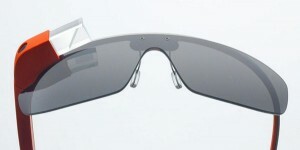 It is operated by touching and swiping a controller on the stem of the glasses, as well s by voice commands. This is genuine Star trek territory and possibly the first of many devices, that will perform all the tasks that our computers can perform but do so using devices that are wearable by the owner. It brings to mind the story of Fionn mac Cumhail and the Salmon of Knowledge. According to the tale, Fionn was tending to the salmon as it was cooking and a blister formed on the Salmon and as he was concerned that too much fluid would gather in the blister and dry out the salmon, he burst it with his thumb. In doing so he burnt his thumb and immediately stuck it in his mouth to cool it down. “He, who until that moment was as little troubled with knowledge as with care, and, as the saying is, “knew not a B from a bull’s foot,” the instant his thumb came between his teeth he felt as wise and prudent as if he were a hundred years old. All his future glories, all the failures of his foes, and all his own achievements flashed before his eyes”. And here is the future flashed before our eyes. On a point of information, Google glass, will not forsee the future and flash it before your eyes, but it will display the information on the Internet, as Google sees it. The wearer of the Google glasses can also use the built in camera to take pictures and videos and add them to the great store of information on the Internet. So maybe the 18 year old Google, is our Fionn Mac Cumhail, somehow, I don’t think so. But this technology might bring that woman’s face back into view of people on the street. There has been a touch of blue flu on the peninsula over the last week. Not the kind that afflicts Garda Stations, but a virus of another sort. A few computers, have been presented at the CompuCara office displaying, the distressing signs of it. The Garda Síochána lock screen is a computer virus, which whenever you try to log on into your Windows operating system or Safe Mode with Networking, it will display a lock screen asking you to pay a non-existing fine of 100 euro in the form of a Ukash or Paysafecard code. Furthermore, to make this alert seem more authentic, this virus also has the ability to access your installed webcam, so that the bogus An Garda Síochána notification shows a video of what is happening in the room, or displays a photograph of yourself looking a the screen in a bewildered manner. Typically, the computer becomes infected with a virus due to visiting a website which contains the malware. This kind of virus is called ransomware and first came into play in 2005. The computer is held locked until the user pays a fee. This is an internationally active virus which detects the country in which the computer is located and displays the emblem of the police force from that country. DO NOT PAY ANY FINES. This is NOT a Garda initiative. If you become infected by this malicious software all affected computers should be repaired by a reputable repair person. Where a person has been deceived into paying money, a report should be made to their local Garda Station. Computer users should run anti-virus software and keep it as up to date as possible. The study of logic, I believe, should encompass system study and the study of logic itself. It should not be limited to one or a number of systems, such as programming systems designed for children. To my understanding, The exploration of thought, within the discipline of logic can expose the new perspectives that are the foundations of new developments. Forming minds need nourishing. No more than the use of a computer comes easy to children, systems built on simple logic will quickly be absorbed by them. When dealing with children learning Scratch, ideally, it is important to be aware of the moment when their understanding goes beyond that system and be prepared to introduce another concept for them. An interested mind can find the creation and study of fractals a challenge. A forming mind particularly, a bright one, needs to be allowed dwell on, and encouraged to absorb systems and then move on. If we confine our childrens’ study of logic to occupation on an existing system designed for a computer that is based on a binary system, we could find that their ability to explore and be curious will be curtailed. The greatest book of all is nature itself, with all her undiscovered mysteries.